Small-town villages are no different than tweeners. So when one village gets a new motto, then they all have to get new mottoes. Capitalizing on Antioch's distinctive mid-century "Norman Rockwell" look and feel, its friendliness and proximity to the Chain O'Lakes, village officials are considering a new logo for the village. 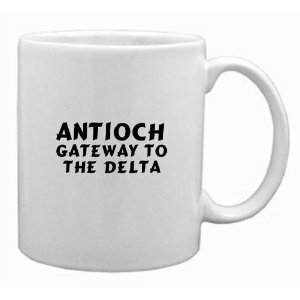 "Antioch — Authentic by Nature" is the winner of an informal poll of village staff and officials. Villages looking for a new slogan are now expected to throw a bunch of hospitality-budget money at a downtown PR firm to come up with something suitable to everyone's liking. Unless it is a Lake County village, in which case for that downtown PR firm substitute a village committee. And for that hospitality-budget money substitute some slogan ideas donated by villagers. "The logo is in blue and green with the letter "O" depicted as a leaf. It was the suggestion of marketing consultant Robin Malpass. Robin Malpass & Associates is a collaborative agency comprised of highly celebrated professionals dedicated to our clients' success. Checking the scorecard, your LakeCountyEye successfully predicted that more village mottoes -- in this case Antioch's -- would be changing. However, your LakeCountyEye unsuccessfully predicted that Antioch would take the cheap route and photoshop up an idea likely suggested by a village trustee's middle-schooler. But your LakeCountyEye did successfully predict what every village secretly desires (and given the opportunity will in fact do) which is to hire a downtown PR firm to assume the culpability all the work. Two out of three is pretty good, even in psychic circles.